Widely acknowledged as one the world's leading authorities on leadership, talent and culture. He advises Fortune 1000 CEO's and senior leadership teams on how to create and sustain a "game-changing" leadership and talent culture that drives superior operating results. John is a powerfully engaging, internationally-acclaimed keynote speaker and top ranked CEO executive coach. Globalgurus.com research organization has ranked John Mattone as the #9 leadership authority in the world just behind Marshall Goldsmith and ahead of Jim Collins. Globalgurus.com research organization has ranked John Mattone as one of the world’s top twenty executive coaches. Along with Marshall Goldsmith, he is the only other leadership authority in the world to be recognized as both a world leadership and coaching authority. "Game-Changing" Leadership for World-Class Results..One of the World's Leading Authorities on Leadership, Talent & Culture...Recently named the #9 Leadership Authority in the World"
​John Mattone is widely acknowledged as one the world's leading authorities on leadership, talent and culture. He advises Fortune 1000 CEO's and senior leadership teams on how to create and sustain a "game-changing" leadership and talent culture that drives superior operating results. John is a powerfully engaging, internationally-acclaimed keynote speaker and top ranked CEO executive coach. A Google search of the top leadership gurus of 2015 has John Mattone at number 9, after Marshall Goldsmith and before Jim Collins. He was nominated for the prestigious 2013 Thinkers50 Leadership Award, which recognizes the global thinker who has contributed most significantly to our understanding of leadership over the last two years. He appears on the 2011 and 2013 Thinkers50 "Guru Radar", which recognizes the fastest rising stars in the field of leadership and he is currently recognized by HR.com and Warren Bennis' Leadership Excellence Magazine as one of the world's top independent leadership consultants, executive coaches, and speakers. John is the author of seven books, including two recent best-sellers and he is now writing his next release, Cultural Transformations: Lessons of Leadership & Corporate Reinvention from the C-Suite Elite (Wiley, 2016). John is the co-author of one of the most respected studies of leadership and talent management in the world, "The Trends in Leadership Development and Talent Management, which is published bi-annually by Pearson. John was recently appointed Distinguished Senior Fellow of one of leading business schools in the world, the Hult International Business School and he is the host of his own show, The CEO Magazine's C-Suite Coaching Show. 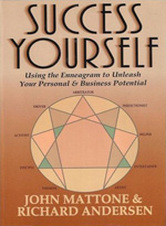 John Mattone has over 30 years' experience in the fields of leadership development, human capital management, and personal success as an entrepreneur who has built two successful consulting firms, as the former President of one of the top leadership consulting firms in the world, Executive Development Associates, Inc. (EDA), and as a leading author and researcher known throughout the Fortune 500 as a cutting-edge thinker and expert in helping future leaders, leaders and organizations unlock their full potential. John is a prolific author having written seven books as well as over 100 professional articles and book chapters. John's two new best-selling books, entitled "Talent Leadership: A Proven Method for Identifying & Developing High-Potential Employees" and "Intelligent Leadership: What You Need to Know to Unlock Your Full Potential" have been heralded by leading experts, CEOs and HR leaders as "groundbreaking and innovative". The Foreword to Intelligent Leadership is written by Marshall Goldsmith, the world's most influential leadership thinker, who says: "Through countless interviews, extensive global travel, and years of consulting and coaching hundreds of organizations and leaders, John Mattone has developed a fool-proof method for identifying and developing leaders and prospective leaders. In his new book, John shares knowledge that took him three decades to amass. How fortunate we are that we can benefit from his wisdom." John Mattone holds a B.S. Degree in Management and Organizational Behavior from Babson College and an M.S. in Industrial/Organizational Psychology from the University of Central Florida. John serves as an executive MBA faculty member at Florida Atlantic University where he teaches his popular course Global Leadership Assessment and Development. John also serves as a Sr. Talent Management Consultant and Master Executive Coach for Executive Development Associates (where he formerly served as President) and he was recently named President of the International Center for Business Communication (and ICBC's first Hall of Fame inductee). John is also a strategic partner of India-based, Global Management, Inc.
John is a member of numerous professional associations including the Society for Industrial and Organizational Psychology and the Association of Corporate Executive Coaches (ACEC), who recently appointed John as its' Middle East Ambassador and also named him to the advisory board of The University of Continuing Education Coaching Education (UCECE). He is also one of eight executive coaches worldwide who has been awarded the prestigious Master Corporate Executive Coach (MCEC) certification by ACEC. Named to the “Guru Radar” by the distinguished Thinkers50 and recognized as one of the top management thinkers and leadership experts in the world (2013). 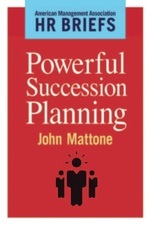 "John Mattone taps into his years of experience to help leaders become the best leaders they can be." I am honored to be regarded as one of the most influential leadership, talent and corporate culture authorities in the world. It is an honor that I don’t take lightly! I am privileged to address leadership and human resource groups all over the world. These groups hire me primarily because they want their audiences to experience my powerful content and research; it is my passion for research and my 30 year’s experience advising and coaching Fortune 1000 CEO’s and senior executives which is the foundation of all my speeches and presentations. Aside from my compelling content, I am hired because I deliver my message with passion and authenticity. My opening keynote speech will start your meeting with a bang and keep everyone talking about my message through the end of the meeting. My closing keynote speech will send everyone home on an energized “cloud nine”, poised to take positive action. I talk to the level of the audience and connect with them whether they’re a group of CEO’s, senior executives, high-potential leaders or emerging leaders. My longer keynote programs are content-rich (based on JMP’s authoritative research and experience) —however, I blend exercises, case studies, and engaging group discussion. How to Unlock Your Massive Leadership Potential......UNLEASH a Winning Culture!.. ​This powerful program is based on John's Mattone's new CEO Read/Inc. Magazine best-seller, Intelligent Leadership (March, 2013). John Mattone will teach you the principles that make him the man current and future Fortune 500 leaders turn to for game-changing insights on how to overcome their self-imposed limiting thoughts and habits. He reveals his key insights for unlocking and unleashing greatness in yourself and your teams. The ideal audience for this program are current successful leaders, high-potential leaders, and the vast number of Gen X and Y'ers who must strengthen themselves as leaders, regardless of their own aspirations to become a manager or not. Ultimately, this program is for leaders and future leaders at all levels who desire to become the best they can be. 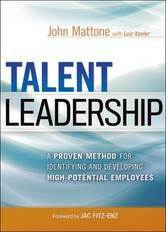 John Mattone utilizes his proprietary "Leadership Maturity Model" as the foundation for teaching leaders and emerging leaders the predictive components that unlock and unleash their full potential. These components include: (1) the core of achieving emotional maturity--possessing a strong self-awareness, self-concept, values, and optimistic belief system; (2) positive thinking; (3) positive emotions that empower both the leader and others; and (4) possessing the skills to execute mature leadership behaviors and competencies that drive leadership success. It's About Talent...It Will Always Be About Talent! ​This program is based on John Mattone's new breakthrough Amazon best-seller, Talent Leadership. The program is geared for HR professionals and operations leaders who are charged with designing, implementing and/or conducting leadership assessment and coaching processes and practices. John Mattone's proprietary "Stealth Leadership" Model provides the foundation for learning about the critical leadership assessment and coaching practices that need to be optimized and integrated in order for an organization to achieve and sustain success. These elements include: (1) isolating target leadership competencies; (2) utilizing a variety of objective assessments to calibrate performance, potential and readiness; (3) integrating assessment data to identify strengths and development needs; (4) creating compelling IDP's that guide and motivate; and (5) coaching leaders from the "inside-out." ​Transforming Culture…The Road to Accelerating Reinvention & Renewal. Cultural Transformations - John MattoneIn John’s newest power-packed presentation he reveals the critical steps that must be planned-out and executed in order for any organization to create and sustain a renewed, winning culture that engages, inspires and unleashes talent in support of driving breakthrough results. Culture is the foundation from which successful organizations are built—however, most struggle to create an environment in which employees can be fulfilled, effective in their work, and feel “unleashed”. What exactly is it that makes some organizations achieve and sustain breakthrough success, while others struggle with cultural transformation…whether it involves crafting a new compelling vision and culture or merging cultures? Based on years of research and advising Fortune 1000 CEO’s and senior leadership teams, John Mattone argues that the highest performing organizations both embrace and execute 6 critical steps to achieving positive transformation, but transforming culture always begins with a CEO who is both willing and able to “think big” and be bold while maintaining a heavy dose of “humility”. In this dynamic presentation, John Mattone details the essence of what is meant by the “vulnerability decision” as well as the other critical steps that must be executed in order for your organization to effectively accelerate its’ own reinvention. ​John Mattone is the man Fortune 500 companies turn to for game-changing leadership theory insights on how to help their leaders and employees overcome their self-imposed limiting thoughts, beliefs and habits, and discover powerful and unique ways to unlock and unleash their potential. John Mattone helps people achieve an “inner-core” balance by strengthening their self-image, character and values, thinking patterns, beliefs, emotions, and actions, so they realize greater success…stronger relationships, stronger partnerships, new levels of achievement, and wellness. This interactive program will prepare and cultivate your heart, mind and soul so you are poised to “touch” the hearts, minds and souls of those with whom you work and live. In the role of grandparent, parent, spouse, son or daughter, and as a working professional regardless of title or occupation, there is truly no more a noble, worthy or rewarding life pursuit than discovering the keys to achieving a stronger “mental state” as a foundation to unlocking and unleashing your own massive potential, as well as the potential of those with whom you work and live. John Mattone will teach you that success is not tied to having abundance; his philosophy is that it is the “disciplined pursuit of less, in the end, will give you more”. empirically-based program that uses my Wheel of Professional Success™ and Map of Maturity™ as the foundation for explaining the predictive relationships that exist between an individual’s “inner-core” strength, “outer-core” competencies, achieving “mental balance”, and how your heightened “brilliance” can drive a stronger, more vibrant and effective person. Beyond explanation, however, this program will challenge you to reflect on, connect with, and accept both the “gifts” and development opportunities you possess. From there, I will guide you in specific ways on how to strengthen your “innercore” character, values, beliefs, thoughts and emotions as well as your “outer-core” competencies so you breakthrough your self-imposed limitations and can achieve all that you are capable of achieving as a person and professional, while maintaining “balance” and health. 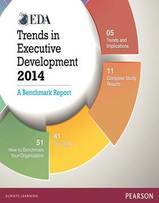 ​LEADERSHIP & TALENT MANAGEMENT TRENDS: What’s Now; What’s Next? This engaging and insightful program is based on John Mattone’s “Trends in Executive Development” research published by Pearson, the world’s leading education company. Professor Mattone’s research is widely regarded as one of the most authoritative and respected global research studies in the field of leadership development and leadership theory. Mattone surveyed and interviewed over 100 global organizations to isolate the cutting edge executive development and talent management practices and processes they use to drive operating success. John Mattone’s Twenty 2020 concept offers a powerful and compelling look at the future of talent management and executive development. The Twenty 2020 concept identifies the critical 20 leadership development and talent management practices that must be implemented and executed immediately by any organization to successfully mitigate their operating risk and ensure their survival and viability-through the year 2020 and beyond. ​How to Identify and Develop Your High- Potential and Future Leaders.